We haven’t quite wrapped up 2015 just yet and already Bandai Namco is hard at work trying to get gamers pumped for 2016. They announced a horde of upcoming games this morning, including a pair of titles in the Gods Eater series, as well as a new Tales of game, Gundam and more. Community Specialist David Lee dropped by the PlayStation Blog this morning to share loads of details, including brief looks at a handful of titles on offer from Bandai Namco. First on the list is another RPG, this one hailing from a series that’s been going on for quite some time. Tales of Berseria is heading to the PlayStation 4, putting players in control of Velvet, a woman on a quest for revenge. If, however, you’d prefer to jump into some over-the-top fighting action, then you need look no further than JoJo’s Bizarre Adventure: Eyes of Heaven. 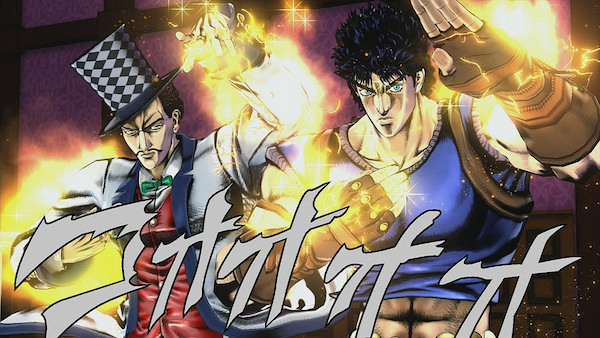 The latest game in the cult-favorite fighting franchise is coming to the PS4, and it boasts two-on-two combat that lets players team up their favorite characters from across the JoJo’s universe. Another announcement sure to please a crowd is the fact that two new games in the God Eater series are heading Stateside. Players will get to team up with their friends and hunt down unstoppable monsters on both the PlayStation 4 and the PlayStation Vita in the form of God Eater: Resurrection and God Eater 2: Rage Burst. And I know what you’re thinking: This list of games doesn’t have nearly enough mechs in it. Fear not, as Mobile Suit Gundam Extreme Vs-Force was also announced for the Vita. Team up with friends or fly solo in this epic battle between massive robots in the palm of your hands. That’s a pretty big haul, and Bandai Namco is likely to add even more to the list as the year gets rolling. So tell us, readers: Is there anything on that list that has you especially excited? Please let us know in the comments below.